“Our furry friends can’t tell us when something is wrong and we do our best for them based on how we interpret their behavior. Full spectrum hemp oil can help with a myriad of ailments including the aches and pains of aging, anxiety, arthritis, inflammation, seizures, depression, aggression, digestive issues, appetite, cancer care, healing from traumatic injuries, and more. We do our best to keep Purity Petibles blog as informative as possible regarding different uses and success stories pets have had by taking our full spectrum hemp oil with CBD. No pet owner likes to see their furry, four-legged companions suffer or even feel uncomfortable. If you have an anxious or nervous pet, you’ve probably tried all sorts of things to console them until the noise passes, fireworks are over, friends leave your home, that random car alarm finally stops, etc. More common still, as years pass and our furry companions become less active and move with discomfort, full spectrum hemp oil can help them feel more comfortable. 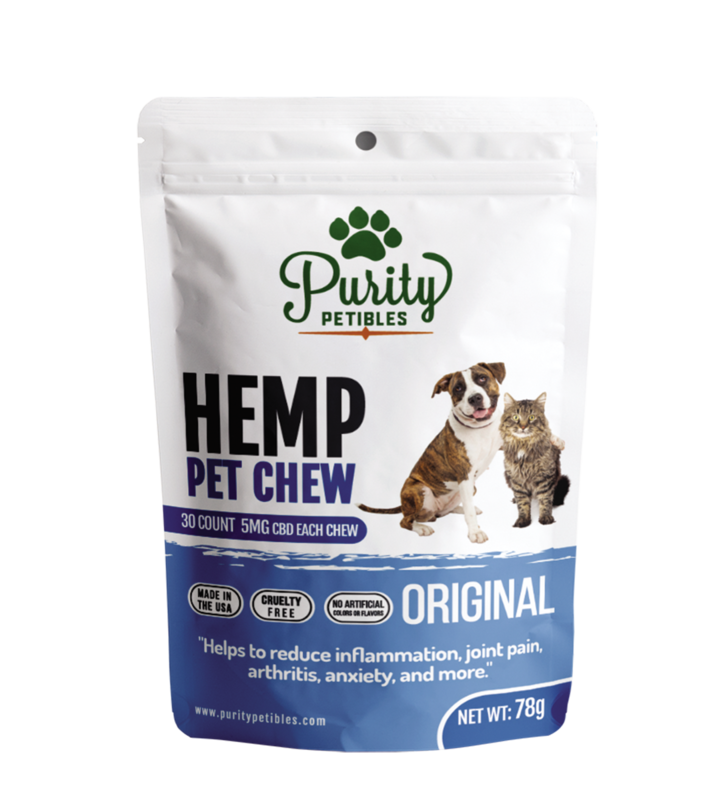 If you haven’t been satisfied with the things you’ve tried so far, you’re going to love Purity Petibles hemp pet treats. Most pets will go wild over these cheese flavored treats, and each one of our soft, moist treats is infused with 5mg of PRC Hemp Oil. The cannabinoids this oil contains have a proven effectiveness. Not all products infused with hemp oil are created equally. It comes down to a matter of quality. Some manufacturers skimp here, using diluted oil that simply isn’t as pure and is not effective. On average, the purity level of infused pet treats ranges from 17-40%. 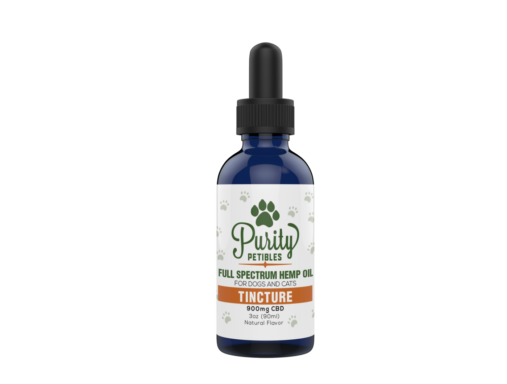 Purity Petibles start with top-notch ingredients, sourced from the finest PRC hemp oil manufacturer in the business. Our oil is a staggering 80.2% pure, which blows the competition away. This is significant because the higher the purity, the more effective medicinal value your cherished pet gets from these treats. ***We always recommend consulting your vet. Full Spectrum Hemp Oil with CBD has been found to be benign, however if your pet has an adverse reaction please stop treatment immediately. 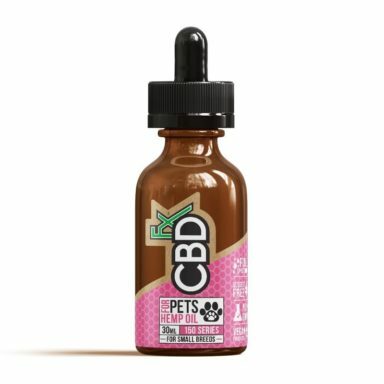 Full spectrum hemp oil with CBD is the closest thing to a miracle drug you’re likely to find, and is pet safe! Set aside a little time each day to enjoy with your pet for “training,” and use these treats to reward good behavior. He (or she) will love them, and over time, as the cannabinoids build up in their system, you’ll notice a profound change. While we can’t promise that these treats will turn back the clock or cause an overnight cure, we have very positive feedback on their efficacy and hope that they will be a great benefit in the life of your cherished friend! Note that our chewy treats contain trace amounts of THC, so you won’t have to worry that you’re getting your pet high. There is ZERO psychotropic effect. They will be getting the healthful benefits cannabinoids have to offer. This product is a Veterinary Strength Formulation and has been Recommended by veterinarians. Ultimately, this should improve your pet’s overall level of health, and give him or her happier life. What could be better than that?